New and Used Crash Carts are for Sale at The Dr’s Toy Store. Buy Crash Carts now for the Best prices. 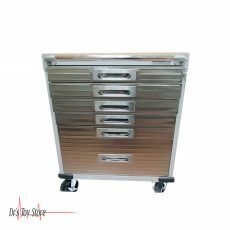 A crash cart is described as a mobile, compact cart that is equipped with medical equipment and supplies for different types of emergency situations. The size of the crash carts depends on the number and type of emergency cases the hospital manages. 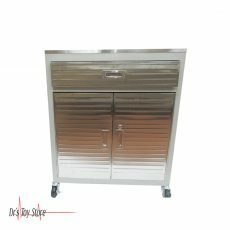 Many physicians, large-scale hospitals generally have larger and more complete crash carts when compared to the smaller, low-volume hospitals. 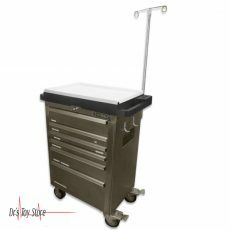 In commercial scale, a crash cart is available and can also be prepared using the large or small toolbox. 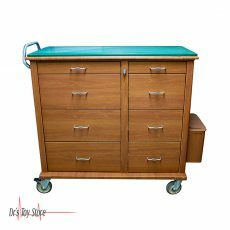 Crash carts can be found in the areas of patient care in the event of a potentially fatal occurrence. It is very important for doctors, nurses, pharmacists and respiratory therapists to be familiar with the contents of the crash cart. Any environment in which a patient is unexpectedly subjected to an emergency medical intervention must have the necessary equipment to effectively address urgent cases. This is where a crash cart is needed. There are some equipment and medicines which are needed for the treatment of the patient for the first thirty minutes of medical help. There are some differences in the crash cart and this depends on their location, similar equipment is found in a basic crash cart. Bag valve masks, oxygen masks and nasal cannulas, forceps and more. Intravenous access equipment (or intraosseous) including angiocaths, IV tubing, and IV fluid. In case the facility decides to make use of the intraosseous approach to emergency medicine, it should include a drill and needles. Any other type of medical equipment or medicines that are needed for specific medical specialties. 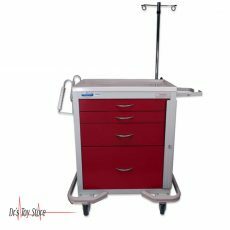 A crash cart is used in any medical facility that treats patients who may experience a sudden deterioration of their condition should have a crash cart readily available. It is directed by state regulatory agencies that certain facilities must have a crash cart, but are recommended for many others. This would include hospitals, outpatient centers for surgery, emergency care facilities, and all centers of conscious sedation. Nursing homes that provide treatment for heart failure patients before the arrival of EMS should not also be on hold. It is also important if you are a medical expert that perform certain diagnostic tests, such as heart stress tests or stress echocardiogram, you must also have a crash cart available.